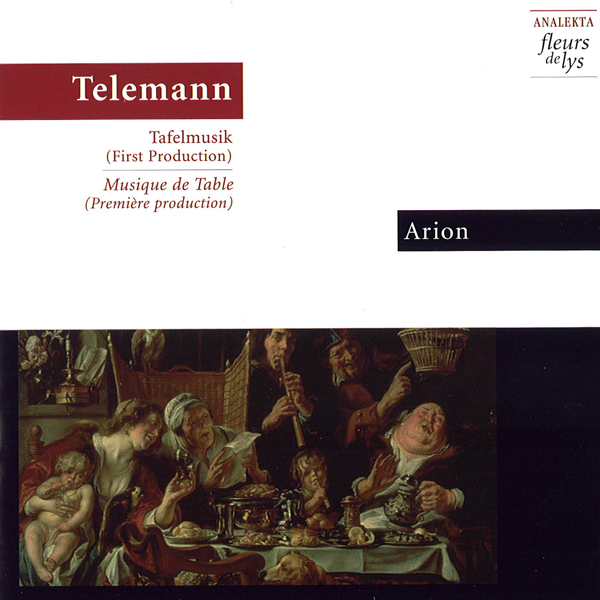 TELEMANN – Tafelmusik (first production). 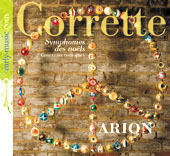 Arion show off their maturity in this excellent production. “The result matches our expectations: the great Ouverture in E minor prances elegantly yet vigorously, thereby eschewing its didactic and verbose aspects. 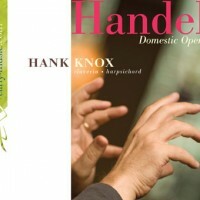 Significantly different from Goebel or Harnoncourt’s versions, yet as agreeable to listen to, this charming and choreographic rendition is followed by a Flute and Violin Concerto with a rhythmic exuberance seldom heard… this delightful record ends with an enthusiastic and lively conclusion.” – Jean-Luc Macia, Diapason, France. The orchestra calls upon world-renowned guest conductors to perform vocal and instrumental works in its high-profile series of concerts in Montreal. 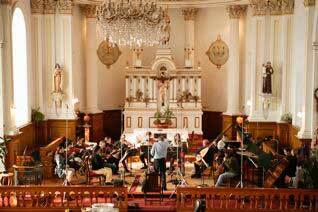 They include Barthold Kuijken, Monica Huggett, Jaap ter Linden, Daniel Cuiller and Elizabeth Wallfisch. A recipient of numerous awards and grants, Arion has toured extensively throughout Canada, Europe, Mexico, the United States and Japan. 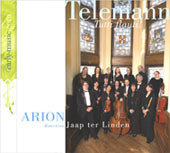 Arion’s discography features 25 CDs, distributed internationally both as a quartet and in a larger setting with the collaboration of such fine artists as sopranos Agnès Mellon and Suzie LeBlanc, mezzo Kimberly Barber, countertenors Matthew White and Daniel Taylor, baritone Max van Egmond, violinist and conductor Monica Huggett, Barthold Kuijken and Jaap ter Linden, as well as several talented baroque soloists. Arion is a member of early-music.com, a site committed to the promotion of some of the world’s finest early music artists. 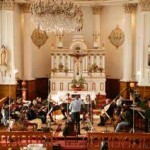 Recorded in May 1997 at the Church of St-Augustin-de-Mirabel (near Montreal), Canada.